"The things I noticed the most were general relaxation​ and he was able to carry himself through the canter which was quite cool considering his canter is so big." Susanne came to do dorning and cold laser on my horse for the first time. I've been having trouble with my left knee so I decided to have her do dorning on me and do cold laser on my knee. After one session, I went from almost not being able to walk to just about pain free in 2 days! I can't believe the results. I can't wait to see the results on my horse! Susanne is board certified as International Holistic Health Practitioner by the National Association of Holistic Health Practitioners and the American Association of Drugless Practitioners. Servicing Eastern, Central and Southern Ontario. Only a sound horse can perform at his best, be it in the show ring our out on the trails. 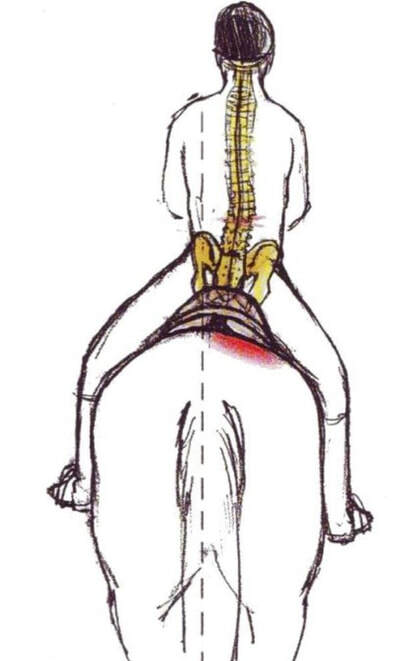 Pain, Blockages and/or tension in the body reduce the ability for top performance. 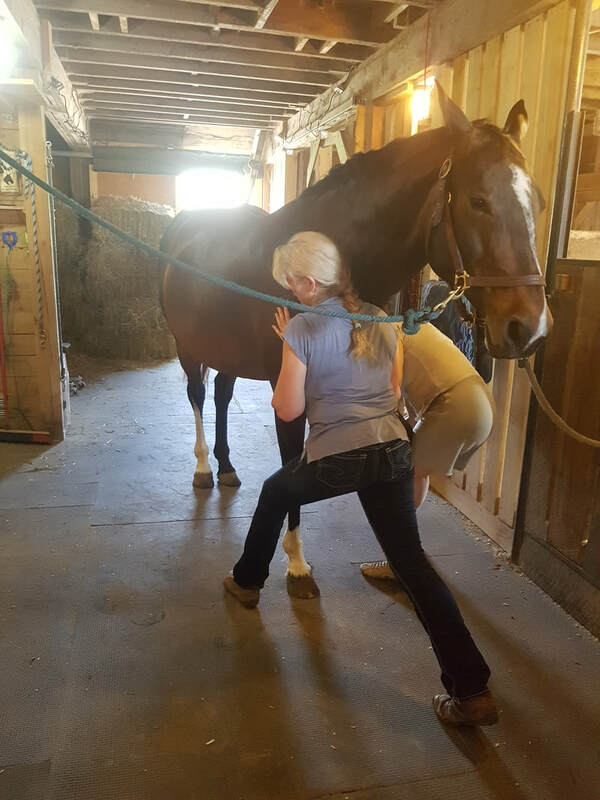 ​All the therapies I am providing aim to support the achievement of the best performance of your horse or to re-gain such. My sessions are custom tailored to YOUR horse - no one shoe fits all! and the WHOLE horse is taking into consideration. 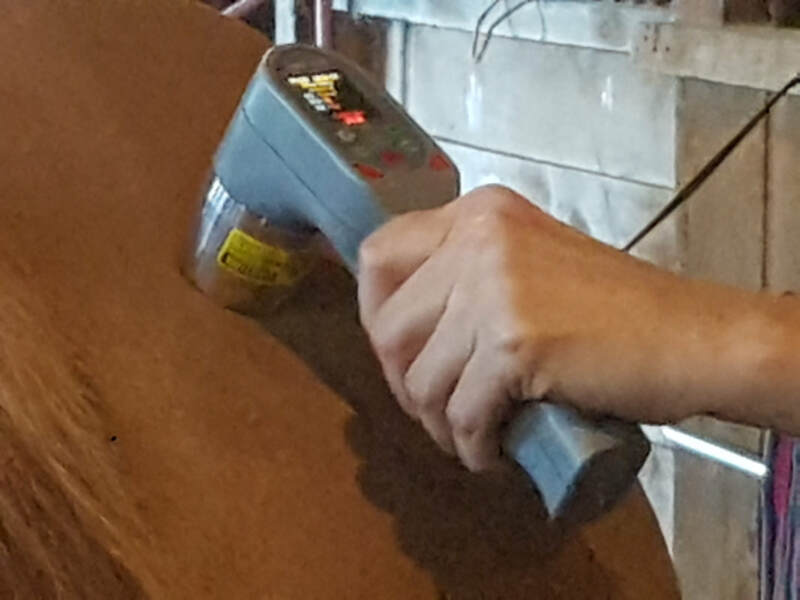 Acupressure, DORN Therapy, LLLT Cold Laser Therapy, EQUI-K-Taping, LED Red Light Therapies and K-Taping, are all gentle therapies, aiding to the well being of people or horses. 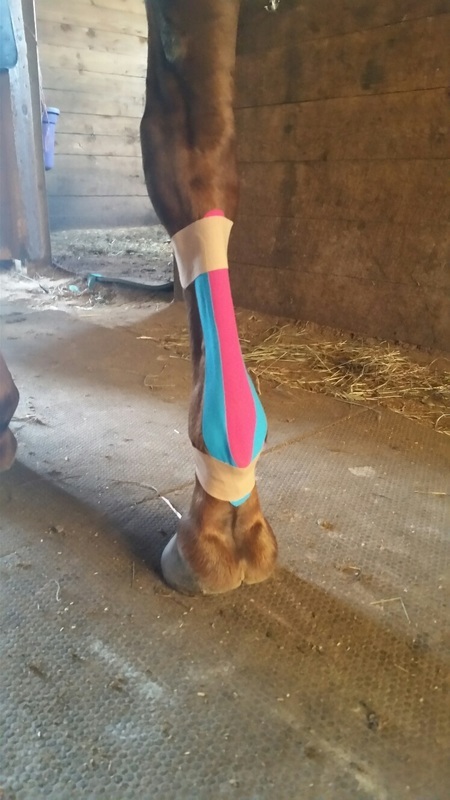 Whether for every day life or as preparation / post performance for the athlete showing in Dressage, Jumping, Eventing, Driving, Racing any of the four above mentioned therapies will enhance your and/or your equine partners life. The purpose of any of these therapies is to optimize / restore health. Above therapies are NOT meant to replace care of a Veterinarian.